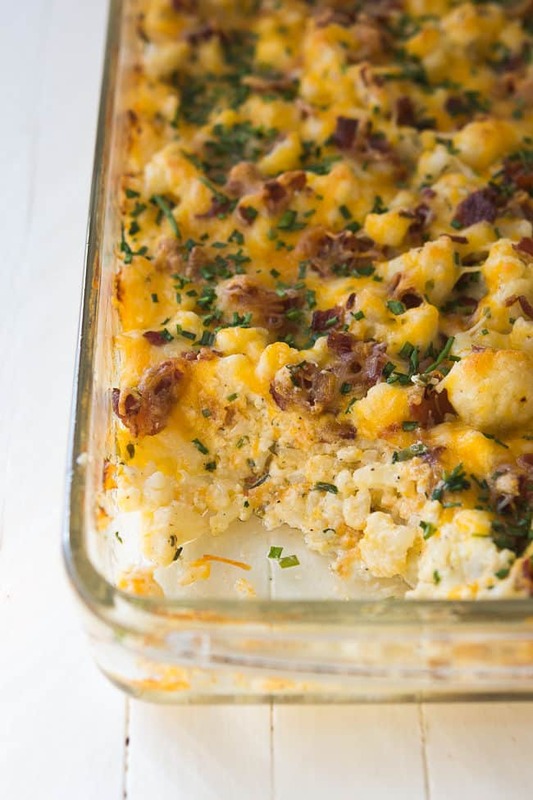 I’m a believer in the casserole as a dinner solution for busy families, and this loaded cauliflower casserole might just be one of my favorite easy casserole recipes. Old-fashioned casseroles are usually loaded with pasta or rice, but I’m loving this casserole because the main star of the dish is healthy cauliflower. Three cheers for vegetables! Even my kids who aren’t typically huge fans of cauliflower love this cheesy and delicious loaded cauliflower casserole recipe. Come to think of it, and the thought literally just popped into my head, if you wanted to add some more nutrition here you could use half cauliflower and half broccoli in this dish. This is a wonderful casserole for anyone doing the keto diet. With just 3 carbs per serving, it’s a satisfying dinner that will help keep you on track with your goals. Whether this loaded cauliflower casserole is a main dish or a side dish is up for debate. RELATED: Love casseroles? 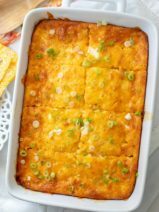 Don’t miss this amazing Mexican tater tot casserole and my keto breakfast casserole. For me, personally, I could easily make a warm bowl of this casserole my entire dinner, but you can serve it alongside your favorite meat and a garden salad. If you wanted to beef-up the casserole (err… chicken-it-up?) 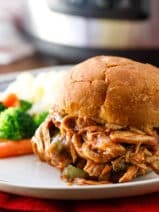 you could shred some rotisserie chicken and add it to the dish prior to baking. When I was a kid my mom would always steam a pan of cauliflower and then sprinkle a bunch of cheddar cheese on top. She and I would eat a huge plate of that stuff and it’s what made me grow to love cauliflower when I was younger. 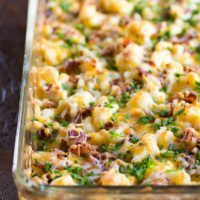 This loaded cauliflower casserole recipe reminds me of the cheesy plates of cauliflower that my mom would whip-up, but WAY BETTER. The crispy bacon in this cauliflower casserole really sends it over the top. 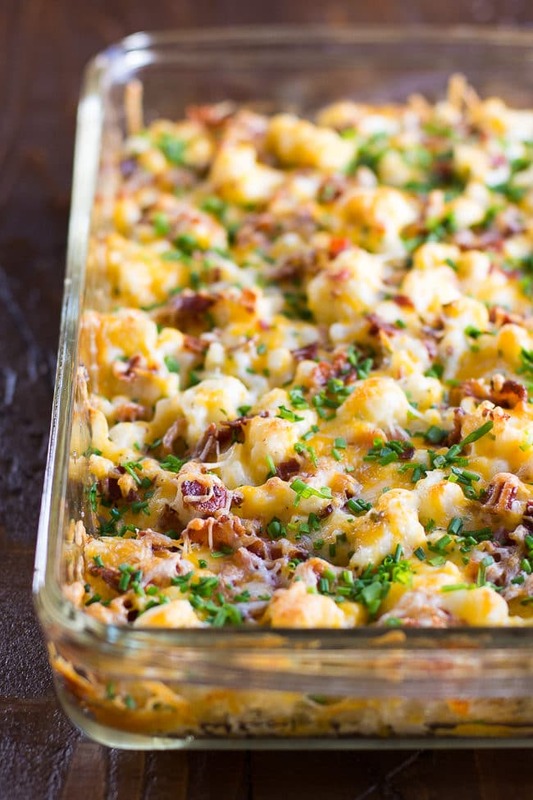 It adds a nice crunch that pairs nicely with the creamy steamed cauliflower and cheese. 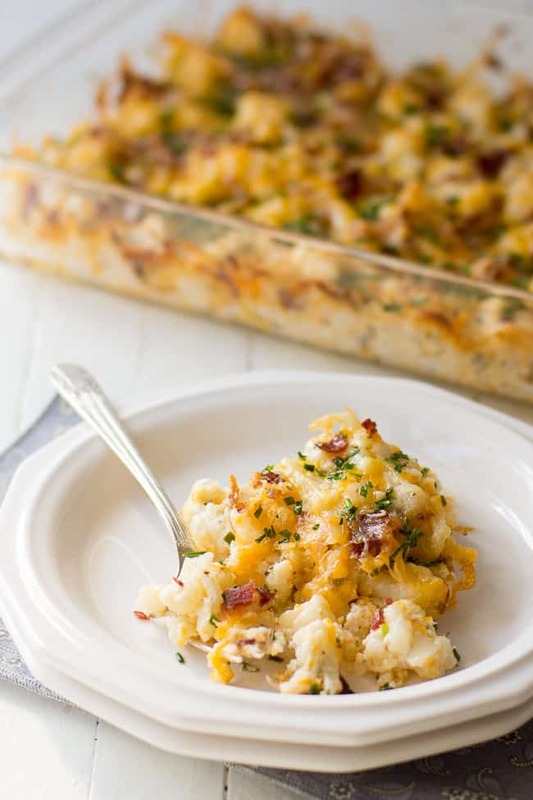 This loaded cauliflower casserole recipe is definitely worth giving a try. Be sure to add it to your weekly meal plan this week and let me know how you like it! Oh, and if you’re interested in utilizing cauliflower in more recipes, you’ll love my cauliflower pizza crust! Combine your sour cream, mayonnaise, ranch seasoning, black pepper in a large bowl. 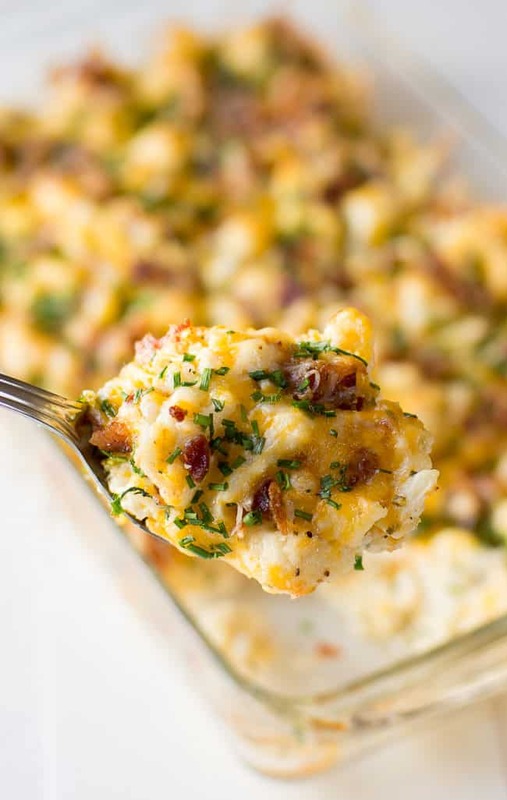 Add the steamed cauliflower florets, 1/2 of the bacon, 1 cup sharp cheddar cheese and 3 tablespoons chives; mix well. Transfer mixture to the prepared baking dish and top with your colby & monterey jack cheese and the other half of the bacon. Cover dish with foil and bake for 20 minutes. Remove foil and bake another 5-10 minutes or just until cheese is bubbly and beginning to brown. Garnish casserole with remaining chives. 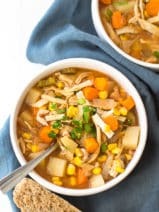 Thank you for this recipe, it is amazing and became our family’s favorite immediately! I’d like to use the frozen cauliflower already chopped (Costco). How many cups of that would be equivalent to a large head of cut up raw cauliflower? Was so good, even my picky son loves it. Hi! I love love love this recipe? Have you ever tried freezing it? Thanks! This might be one of the best dishes I’ve ever made! Thank you for the recipe! I’m not a fan of mayo, or sour cream. Does this have those tastes or are they covered up by the rest of the ingredients? Not opposed to using them if I don’t have to taste them. Other than that, this looks amazing! I’m not a fan of either as well, you can’t taste it! I add a pound of browned ground beef and make this a whole meal! I made this tonight and it was amazing! I’ve shared the recipe two times already tonight:) thank you so much!!! I did add a little bit more ranch and I used a little broccoli also. Love love love this recipe! We omit the bacon since we try to have less processed meats and it is still amazing. We also use a diy ranch seasoning because it’s easy to make organic and leave out the random crap they put in those packets :) We’ve had this multiple times for ourselves and the kids, and when entertaining. It’s always a hit!I’ve tried it with a few times with both sour cream/Mayo and yogurt/Mayo. We are fans of the way the sour cream version turnaround out, better. Turns out less watery and tastier. This was a hit in my home. It was really great!!! This was delicious! Next time I will double the sauce ingredients since I found it a little dry. I didn’t have fresh cauliflower so used two bags of frozen. Next time I will double the recipe so there will be leftovers. Thanks for a new and exciting way to consume more veggies! So delicious! My hubby’s fav keto dish! Amazing! The hubby loved it. We are traveling for Thanksgiving, and I must bring my own low-carb dishes if I plan to stay on keto. Could I make this in advance and freeze it? Thanks. Do you mean one cup each of Colby And Monterrey jack ? Two cups total? Or one cup total? Thank you, can’t wait to make it! Colby & Monterey Jack is a type of cheese. It’s just 1 cup of it. I believe the recipe calls for 1 cup total of the colby/monterey jack blended style cheese sold in stores, not 1 cup of each. I’m also looking forward to trying this. Sounds and looks delicious! I thought this looked delicious and was planning to make it at home. My kids’ school had P/T conferences, so I made a pan and took it to school for the teachers to have for supper. They loved it! I can’t wait to make it for me to eat!. Very tasty and flavorful. Made it for a potluck and brought home an empty casserole dish! Will definitely make again. Hi! I am already loving the recipe just by reading it. Can i use mucrowave instead of oven though? Can this be made using cauliflower in Steamfresh packs out of the frozen food section, in order to save on time? This was absolutely delicious. My husband really enjoyed it too!!! I’m trying out the keto diet and this will be on the menu. Made this tonight and oh my word!!! I’m a girl who loves her loaded bake potatoes or potato soup and this right here nailed it for this keto girl! I added sautéed mushrooms, onions, spinach, and green bell pepper to have even more veggies – so rich and filling! I think next time I might even add in some chopped chicken. Thanks for this recipe! This dish is fantastic! My husband likes when I add broccoli to it (but honestly I prefer the recipe just as it is!). I have made it AT LEAST 4 times now. It’s great as a meal all itself!Do yourself a favor, double the recipe! So glad you love it, Jennifer! Good idea about adding some broccoli! Just made this tonight and it was so good! I made it for a main dish and used two heads of cauliflower and used a whole package of turkey bacon and added chicken. Yay for leftovers!! I love the casserole. I added 1tbs of margarine. And served as a side to Mild sausages with green peppers and red onions. Adding it to my new side dishes. Thank you! This dish is absolutely delicious!! I will definitely be making it over and over again. Made it for the first time, and absolutely loved it. Have lots of leftovers and wondered if this would freeze well after it has already been cooked. Will definitely make again! My grandkids just loved it and they are picky when it comes to vegetables, they always ask when I am making it again. To turn this into a meal I might add chopped ham. Any other ideas? Just made this tonight…. heaven!!! Sooo yummy!! I don’t understand why you would need to steam the cauliflower ahead of time? Seems to me if you cut the florets into small enough prices, it should cook just fine. I just made this for dinner and it is really good. I had to substitute onions for the chives. I thought I had chives and in the middle realized I was out. But the taste is wonderful. I will make it again. It’s also very filling. Lay the cauliflower on a paper towel after you strain it so it soaks up the excess water. I will double the greens onion. I sautéed it with the bacon. It was very good and willMake it again. For all of you who are asking about calorie and carb content, I can tell you what my parameters came out to be. And I figured it out based on both six and eight servings, realistically for us, this was a six serving meal. Thank you for posting this. Do you know how much is in a serving? It says 3/4 cup is a serving. I am wondering how many ounces is in a serving. :) I calculate by ounces normally. This looks frickin delightful! Is the ranch seasoning a make or break with this recipe? I’m only asking cause I’ve used the seasoning in otherrecipes and it’s just ruined it for me. Omg…sooooooo good! It’s a keeper for my Keto lifestyle. Thank you. My family loves this recipe, even the twins who are 21/2! This. looks. AMAZING! I LOVE loaded potatoes, but am trying to eat more low carb so this is perfect! And you can’t go wrong with casseroles! Thanks for sharing!!! I made this once back in June and holy man it was sooooooo good!I added half a brick of cream cheese and it made it that much more cheesy and delicious. I’m planning on bringing it to a potluck dinner in a crockpot. Wondering if you would recommend using uncooked cauliflower instead of steamed as it will be cooking on low for a few hours???Thanks!! What other cheese would be good, as I don’t have Colby or Monterey Jack? Any cheddar would be amazing! I’m currently following the keto way of eating. I want to enter all the ingredients into the carb manager app in order to track my intake. How many servings in this casserole? Hi Chrissy, I would say there are 8 servings in this. I made this casserole to take to a family gathering, and everyone loved it now I make it all the time. This recipe sounds amazing and I can’t wait to try it. I was wondering if it could be made with roasted cauliflower instead of steamed? I just adore the extra flavor that roasting creates with veggies. That would work great too! Made this tonight and loved it! Even my kids liked it and one of them is super picky! I love that it was low carb (well, no pasta, grains, potatoes, at least) for me without having to make a bunch of adjustments or something extra for myself. I’ve made stuff with ranch seasoning before and usually find it overwhelming or weird warmed up but this was just perfect. Added the shredded rotisserie chicken and it was perfect. I will serve it with green beans and crescent rolls (for the non-diabetics) next time! Hi Beth! I’m so glad you loved it. Thank you for commenting and letting the other readers know that it was great with rotisserie chicken. I haven’t tried that yet but it’s on my list! I added the crispy fried onions on top. Aldi carries a gluten free brand. This recipe is so easy and delicious! My husband, who is struggling with the loss of his carbs had seconds! I’m definitely using this as a go to side dish! My sister-in-law will love this! If this is made with cauliflower pearls(rice)..would you still recommend steaming prior to assembling casserole? Can’t wait to try!!! This casserole was the Star of Easter Lunch!!! Requests have been made for it to be included on all of our family holiday menus.Thanks!! My son made this recipe. It was amazing. Watch your cauliflower cooking time and add a bit more pepper. Excellent side dish!! oh yum. So easy to make and smells delicious. Its done and waiting for my daughter to get home for lunch. Thank you for sharing and I have to admit I added green bell peppers! Crissy! This was so delicious!!! I even switched it up by adding ground sausage! Major hit – and I’m making a batch for my friends who just had their first baby 4 weeks ago! Thank you!! 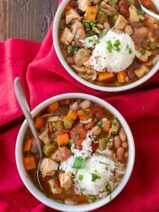 Husband loved this recipe! I added a pound of hamburger! We’ll be making this again!! Hey, just wondering how I could substitute the mayonnaise out since my little one needs it to be egg-free. I made it with cauliflower and broccoli as you recommended, and it was fantastic! Thank you! I tweeted this recipe by using turkey bacon, light sour cream, organic mayo(no sugar) and green onions/scallions. It was SLAMMIN’! !My daughter HATES Cauliflower and was asking for seconds!!! Do you have the nutritional values? I try to track my carbs and fats. On Keto diet. I know someone else had asked this question but I didn’t see an answer. Can you make ahead, refrigerate and then bake? Also, how many people do you think this will feed as a side dish for Christmas? I think this would be fine and as a side this would serve about 6-8 people. 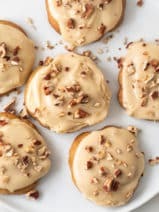 If I’m making this the night before and putting it in the fridge, at what temperature and for how long should I bake it the following day? My family loved this! Nice option instead of potatoes. We’ll be having this again. Thank you!! Do you have the nutrional info for this recipe? I’m sorry Claudia, I don’t. I’m working on including that information in the future. Hi Amanda, you’re going to lose a lot of moisture by doing that, so I’m not sure that I would recommend it. So good! I made this for myself and my wife while she was on the way home from work. So by the time she got in the door, I was just adding grilled chicken breast cut into bite size pieces, and mixed into the general mix, and sliding it into the oven. My only comment, is she liked it well enough to compliment me for it. It is printed out and it will be a repeat in this house. And she commented about the Ranch seasoning. It made a difference, and one she picked up on. I hadn’t told her it was in the list of ingredients. 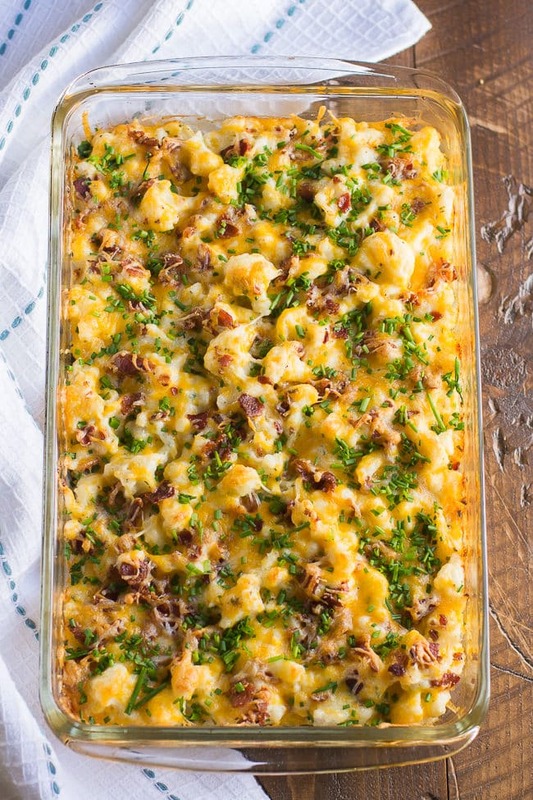 can the cauliflower casserole be made ahead of time and refrigerated until ready to bake? I want to try the tater tot casserole. Exactly like my recipe from 3 years ago minus the ranch seasoning… will have to try that.